Healthy hamburger alternative with Greek Turkey Pita Burgers. 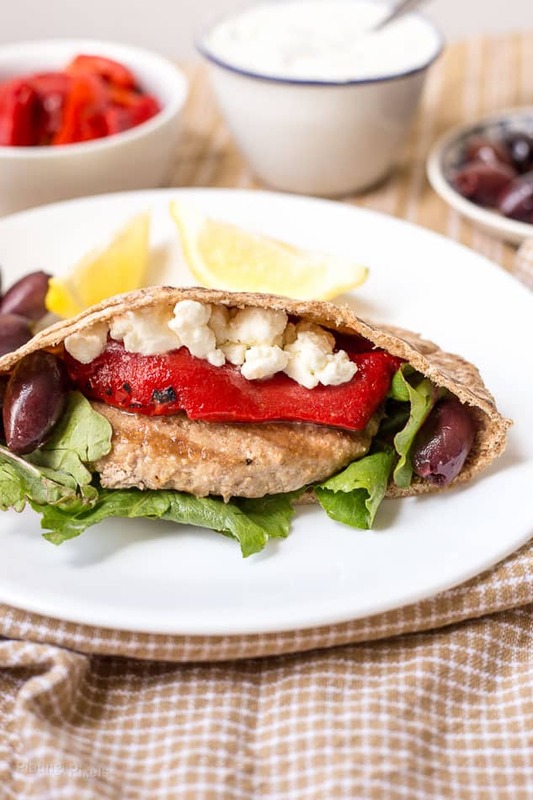 Grilled Greek style turkey patties in pita bread, filled with Mediterranean flavors like kalamata olives, artichoke hearts, roasted red bell peppers and feta cheese. 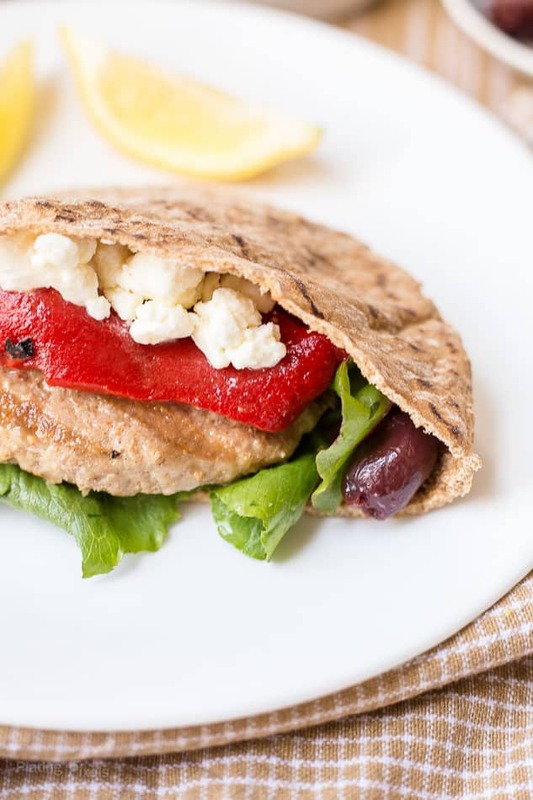 Within this post you’ll make a healthy alternative to burgers with these Greek Turkey Pita Burgers. Plus you’ll useful tips that will make you a grilling pro! Grilling is my thing and I’ve learned quite a few tricks, sometimes the hard way, through years of cooking. For one, heat is important, especially for the type, cut and size of meat you are cooking. If you’re cooking thinner items like these Greek turkey pita burgers, skirt steak or bread; then you want to cook with higher, sustained heat. If you’re cooking thicker cuts of meats or chicken, then start with a higher heat and sear it, then lower to medium or less to evenly cook through without burning. Another tip is to lightly grease the grill to prevent sticking, making flipping meats a breeze. You often grease pans in the kitchen, why not grease the grill? An easy way to do this is to lightly coat a crumpled paper towel in oil, then use grill tongs to rub over the grill surface. 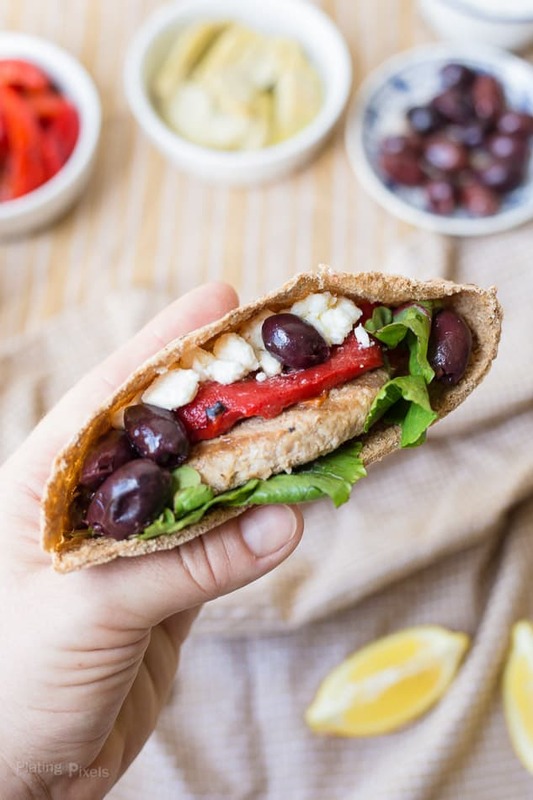 Making these Greek Turkey Pita Burger is a breeze as well. Grill on both sides for about 4 minutes to create perfect grill marks and meaty flavor. 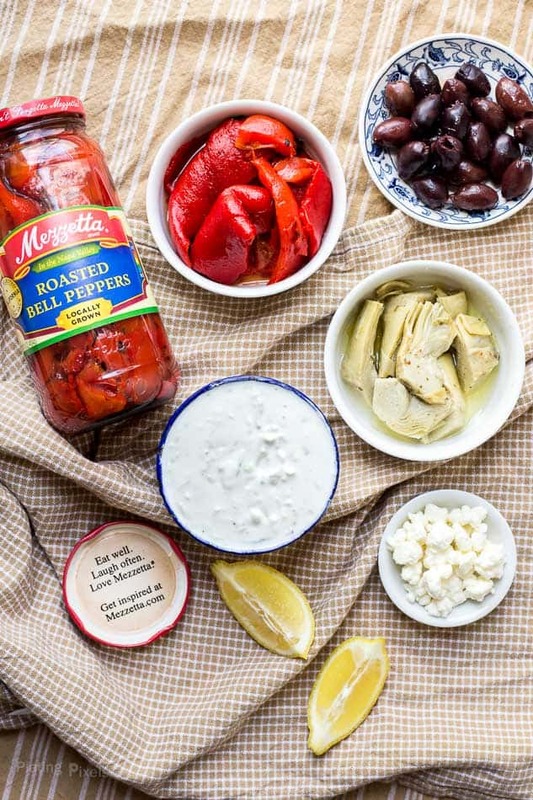 Then load into pita bread pockets and stuff with Greek goodies; flavors such as kalamata olives, artichoke hearts, feta and roasted red peppers. Flavor profiles: Bold, rich and salty; strong Greek-inspired flavor. Texture: Tender turkey burgers paired with soft, pickled veggies. Dietary Options/Substitutions: For gluten free or low carb option, omit pita bread and use more spinach leaves to eat as a salad. Preheat grill or griddle skillet to medium-high heat. Lightly grease and add turkey burger patties. Squeeze a bit of lemon juice over each, then sprinkle with cumin, salt and pepper. Cook 3-4 minutes, until bottom is browned. Rotate and cook 3-5 minutes more until cooked through to an internal temperature of 165 F. Remove from heat. Place cooked patties into each pita half (toasted if desired). Fill with desired amount of remaining ingredients to create burgers. Garnish with optional tzatziki sauce recipe here.